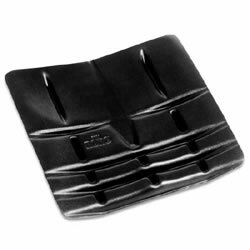 Provides a solid foundation for sling seat wheelchairs. Support Size: 13.25" x 13" 15.25" x 15" 17" x 15.25" 17" x 17.5"
The lightweight, molded ROHO® Contour Base provides a solid foundation for sling seat wheelchairs. Easily fits under the cushion inside the ROHO cushion cover. Custom sizes are available, maximum size: 24" x 24"